Most of our Misadventures in Nova Scotia begin right here at the Data Locator. This is our source for free downloadable 1:10,000 Topos, that’s right free! This can be a cumbersome prospect with a steep learning curve. We always recommend these maps to people and you can always see their eyes glaze over during the instructions. Because of this we created a step by step guide to downloading our most used map. We are planning another post to show how we use the maps alongside a few other resources to plan our Nova Scotia misadventures. Hopefully you’ll be able to do the same! In this example we will search for the area containing part of the Kearney Lake Trail system, which is shown on the map below. This example was done on a PC using Google Chrome. Step 1. Go to novascotia.ca/geonova and click Data Locator on the left under Featured Applications. Step 2. 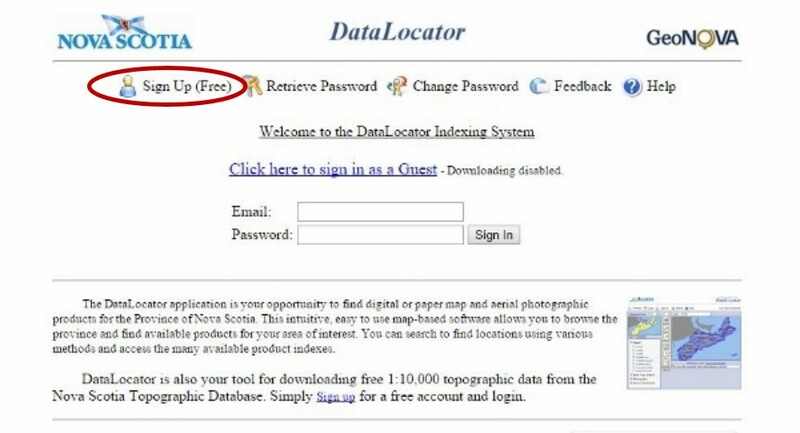 Click Enter the Data Locator. Step 4. Fill in the blanks (you don’t need to enter a Company Name or Phone Number) and click I Agree. Step 5. 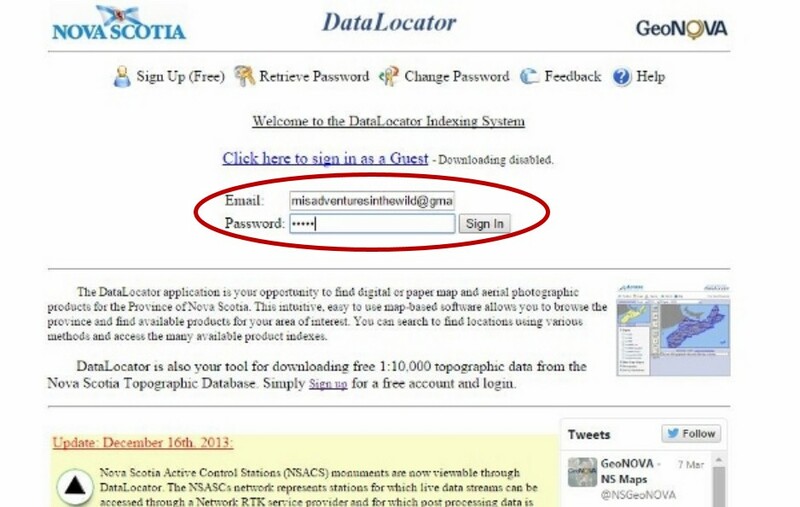 Click Login once you have received an email with your DataLocator password. Step 6. Enter email, password, and click sign in. Step 7. Click 1:10000 Topo Free Button. Step 8. Click Search tab, start to type in Kearney Lake and click on Kearney Lake / Halifax when it pops up below. Step 9. Click the Select Box button. Step 10. Click anywhere on the desired map, in this case the one with Ash Lake. Step 11. Click the Choose File-type: pull down menu and select Plot (PDF / JPEG) and click the Download All button. Step 12. The map is now downloaded onto your PC as a zip and just needs to be extracted. Locate the file folder in your downloads. Its file name will be the same as the map number (in this case, 1044650063700_Plot). Step 13. 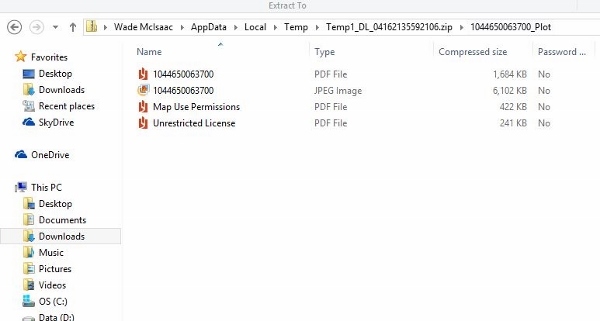 Once extracted, you should see 4 files: PDF and JPEG versions of the map, along with the Map Use Permissions and Unrestricted License. With a little further effort and a GPS that can handle custom maps you can load these maps into your GPS. Canmatrix is another site for free topo maps. 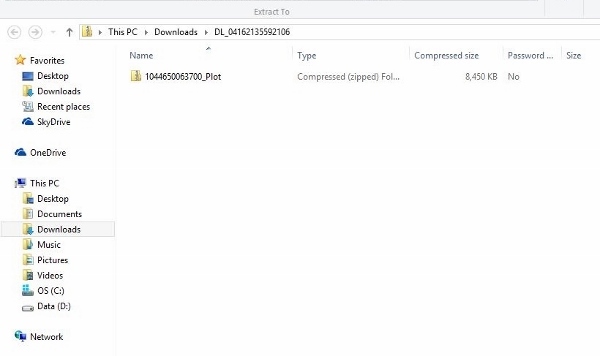 You can download 1:50,000 and 1:250,000 maps. ← Eco-Endurance Challenge 2015 – Cancelled!